Over the last decade, social media and the associated platforms have gone from strength to strength. As Facebook, Twitter, and Instagram have become more popular, we’ve come to realize that everything revolves around recognition. While you might say you aren’t aiming to impress, it’s hard to deny the good feeling that comes with ‘Likes’. If you’re struggling for recognition currently, this answers the first question of why people invest in Instagram likes. 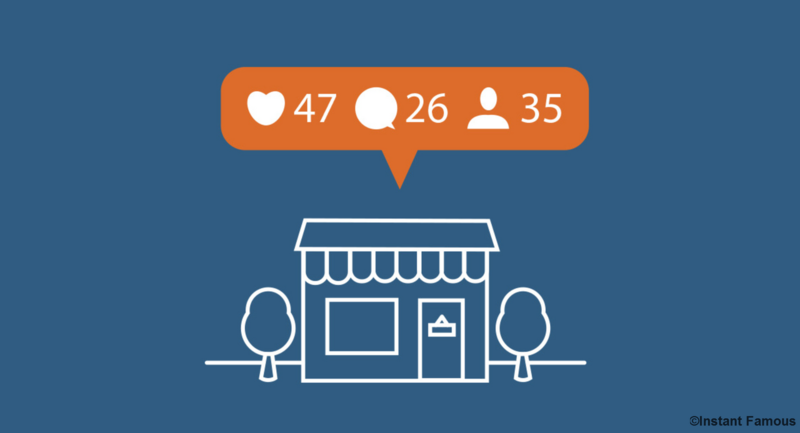 In addition to personal Instagram accounts, many businesses are also finding the value in not only using platforms like Instagram but buying likes too. With Insta likes, people are more likely to see service and this hopefully aids lead generation and sales. Today, we’re going to break down everything you need to know! As we all know, social media is a fantastic tool for interacting with others and staying in touch with old friends; this same interaction is available for brands too. By offering a personable Insta profile, for example, your brand suddenly seems approachable and it places the company in a positive light. With simple interaction, your brand is more attractive and you’re more likely to be remembered. Is Instant Famous the Solution? Regardless of whether you’re an individual looking to take the next step, or a brand wanting to connect with customers and expand, why go it alone when you can partner with a professional and reliable service like Instant Famous? Not only do we provide you with Instagram likes, we do so from authentic Instagram users (rather than those pesky bots and fake accounts!). Additionally, we’re interested in your return on investment (ROI) so will always look to provide value for money. Depending on your needs, we can offer a variety of packages and this ensures your preferences are met. Finally, we should also mention our superb customer support team since they provide 24/7 care; if ever you have questions or concerns, just dial the number and one of our experts will be ready and waiting. We don’t shy away from the competition…we’re well aware that other services like us exist. However, we have more than a decade of experience, have helped thousands of people, and continually improve our service (we never stand still!). Unlike our competition, we don’t provide system-generated, cheap likes because we know how useless these can be. Instead, our affordable likes are from high-traffic networks. What’s more, we allow you to buy Instagram likes for all your pictures rather than just one. Even after this, we go above and beyond with our premium image selector tool which means you’re in control of IG likes across a number of photos. If you’ve got numerous uploads and you want to spread likes across them all, this is easily achieved. To get started, there’s no long sign-up page and we won’t ask for your pet’s name (perhaps a slight exaggeration!). Instead, everything can be achieved with your email address and Instagram ID. Within around 24 hours, you’ll start to see likes on your posts. In terms of the logistics, your details will always remain secure since transactions are made through PayPal. Once we’ve got the details, you can sit back and watch the likes come in. If there’s a problem with the transaction (this is rare! ), we’ll get a full refund to you within 12 hours. For some reason, there’s a common misconception that buying likes for Instagram takes a long time. As we’ve seen in the previous section, all you need to do is provide us with some simple details. Once this is done, most people see results in less than the time it takes to brush their teeth. You didn’t think we called it ‘lightening fast likes’ for nothing, did you? With quick delivery, you’ll soon encourage likes and comments on your Instagram profile and the results can be enjoyed in no time. 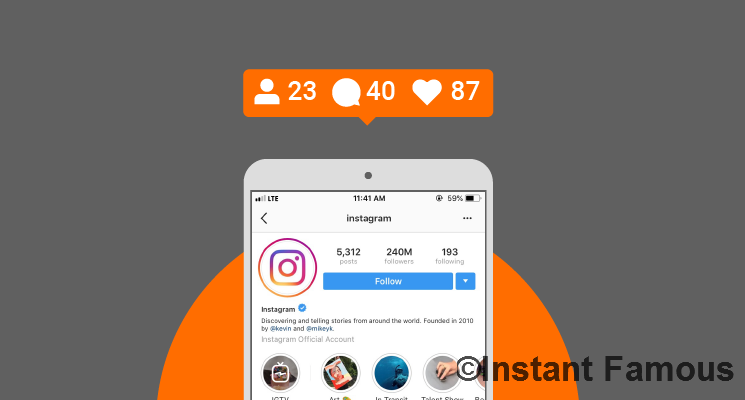 If you don’t want to waste your time manually ordering likes for numerous pictures, we’ve got good news because we have an automatic Instagram likes system. For an affordable monthly price, we can keep sending likes your way without you having to do anything…you can just forget about us, and upload the best content possible. Now you’ve seen how Instant Famous works, how can you pay? Currently, the only payment method is PayPal – if you want to pay with a particular card, just link this up with your PayPal account and pay this way. We love PayPal because it allows for safe payment for all parties. Not only do you keep your financial details secure, but we also stay safe and receive payments on time too. If you’re still on the fence about Instagram for your business, we urge you to try it today. As a free tool, you’ll suddenly have access to millions of people and a larger portion of your target market. With the right hashtags, your posts will be seen by all the right people and it allows your brand to project its voice in the coming weeks and months. To boost your speed of growth, why not purchase affordable Instagram likes? Rather than starting at zero and building up slowly, you’ll have a head start and more people will see the profile. If you have any questions or concerns, please feel free to get in touch and we can provide tailored advice to your business/individual needs!